As someone who has successfully earned a significant amount of money with my writing, I often don’t know how to answer this question. I often tell people that you can submit your writing to a variety of publications, or sign up for a “content mill,” or network until you’ve found the right clients. But that kind of advice is often not enough. It is incomplete. It is disconnected from the real world challenges and situations that every writer will face. This book dives straight into those real world challenges, so you can learn by example. You won’t get vague advice from this book. 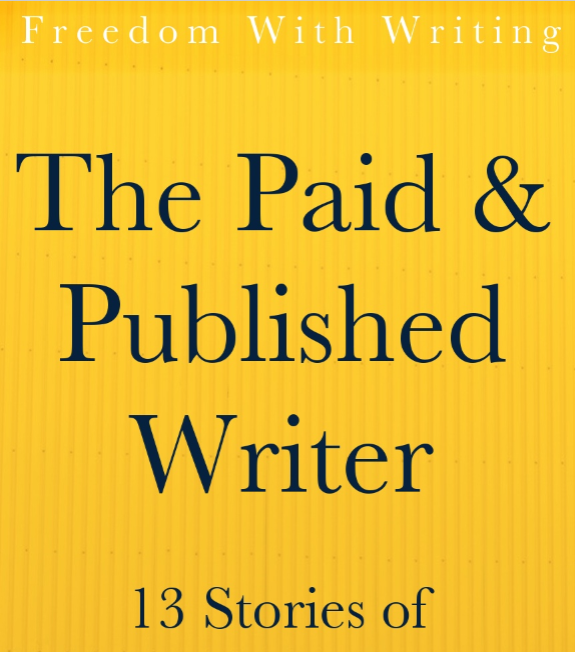 You’ll get the truth: Real stories of how writers got published and paid for their writing. Many of the individuals in this book have built successful careers as writers. Others have leveraged their publishing to establish success in other fields. One of them just needed money for groceries.